If you have been following our blog, then you’re fully aware that as of May 1st, Matthew (our marketing intern) completed his term with Array. We really enjoyed getting to know Matthew and the team was more than happy to be relieved of their blogging duties!! Share your knowledge. Countless students are looking for internships. Whether it be for credit, for a paying gig in their field or to solidify that their course of study is REALLY what they want to do when they grow up. Students want experience. However, while you may really need help backing up files and organizing the supply room (we’ve all been there! 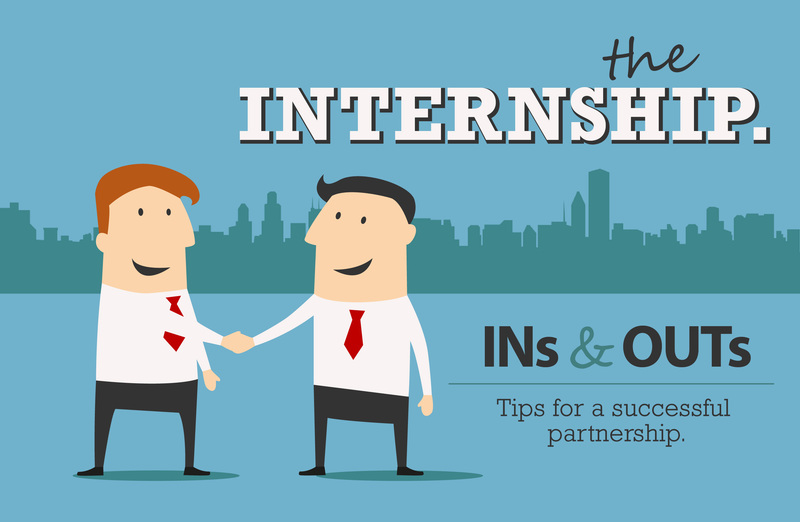 ), consider whether those tasks are best suited for an intern. The objective of an internship is for the student to learn the trade firsthand, not to be accomplishing thankless tasks with little to no educational value. Don’t have unreasonable expectations. Often, the internship is the student’s first real taste of working at a career position. Traditional teenage summer jobs may not have stressed the importance of punctuality, dress or professionalism. So consider yourself working from the ground up, but also realize that you have the opportunity to help shape this individual’s future. Even if you are the coolest, most laid back agency on the block (like Array!). Interns need plenty of direction, ask a lot of questions and require a great deal of your time and attention. Sure, it’s demanding. But if your intern coordinator cannot dedicate a sufficient amount of time each week to mentoring a student, then your business should reconsider taking on an intern. The objective of an internship is to train and teach rather than to provide free labor for the employer. They’re eager to learn and you should be eager to teach. The takeaway for employers big and small: internships generate success. The student gains experience, makes connections and strengthens their resume. Meanwhile, your business is reaping the benefits of increased productivity with an extra set of hands and thriving with a fresh perspective from a young, talented mind. Consider starting a program for your business! Interested in interning for Array?? Say hello and send in your resume to cathy@arraycreative.com today!